A consortium led by Masdar and France’s EDF apparently won a $500 million tender to build a 400 MW wind farm in Saudi Arabia. 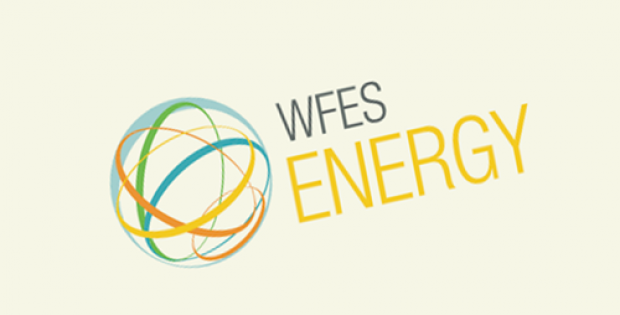 Reports confirm that the World Future Energy Summit 2019 (WFES 2019) concluded successfully with energy deals worth nearly $10 billion being implemented across 20 countries. WFES, considered to be a key facilitator of Abu Dhabi Sustainability Week, occurred over a four day period at Abu Dhabi’s National Exhibition Centre. During the event, a consortium led by Masdar and France’s EDF apparently won a $500 million tender to build a 400 MW wind farm in Saudi Arabia’s northern part. The tender was awarded as part of the country’s attempts to increase its renewable energy capacity to 60 gigawatts by 2030. Further from the reports, Abu Dhabi Waste Management Center (Tadweer) also granted new operating contracts to providers of solid waste collection and transportation as well as street cleaning and sweeping services. The contracts, awarded in Abu Dhabi mainland and Al Dhafra region’s third, fourth and fifth sectors, were cumulatively worth Dh1.01 billion. Citing reliable sources, Solar Energy Corporation of India (SECI), which is India’s only central public sector firm dedicated towards solar energy, had revealed its Cold Desert Regions Ultra-Mega Solar Power project worth $7 billion at the Summit. SECI had seemingly invited global investors to take part in investment opportunities in alternative energy created by the state-backed project. For the record, over 34,000 attendees had convened at WFES 2019 along with 3,000 students from more than 150 countries. Through the event, attendees were able to share best practices, discuss innovative solutions for existing and future challenges in the sustainability segment and also introduce new products. More than 800 exhibiting companies from 40 nations were also hosted at the Summit, sources mentioned. WFES is known its exceptional ability to bring private and public leaders together for addressing critical issues and identifying any actions that should be implement worldwide at economic, policy and corporate levels. WFES 2019’s ‘Embracing the Future, Welcoming Disruption’ theme allowed the event to achieve considerable progress by encouraging imaginative solutions for interrelated problems faced in sustainable development, energy transformation and disruptive technological changes.